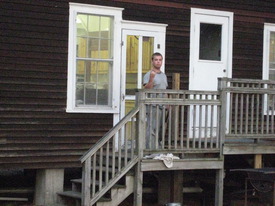 Good food is a vital part of our program. 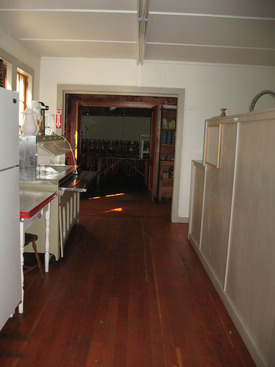 We serve three delicious and nutritious meals a day catering to a wide variety of special diets. 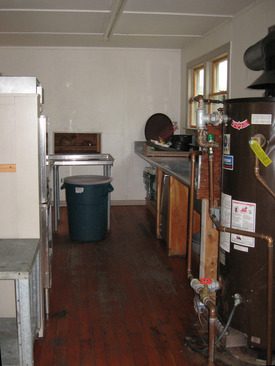 We have a large, professional kitchen with professional equipment, and hire professional cooks to prepare our meals. 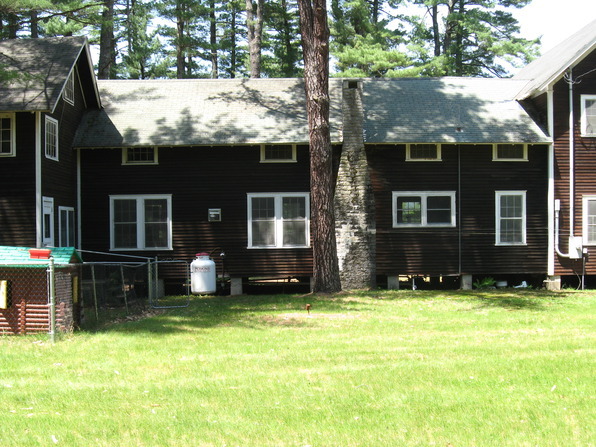 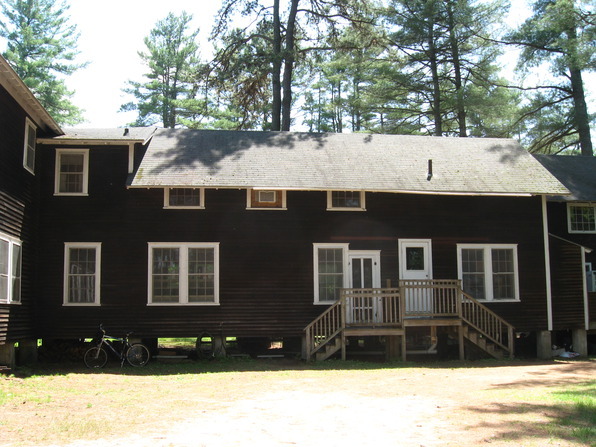 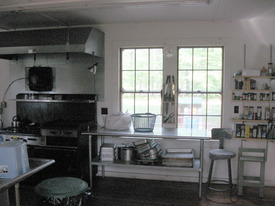 Our kitchen, built in 1929, is the oldest structure on the Assembly grounds. 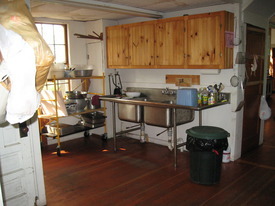 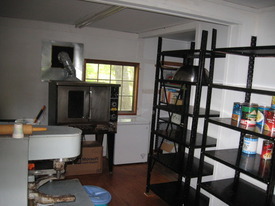 It is in four parts: the back kitchen (which is not part of the original kitchen building but actually a part of the Goddard Annex) holds the convection oven and dry goods prep and storage areas; the middle kitchen has a large cookstove, food prep sinks, cutting table, and walk-in fridge; the front kitchen has the dishwasher, wash sink, and the salad bar and its storage fridges; the pantry is where the camp dishes and silverware are stored. 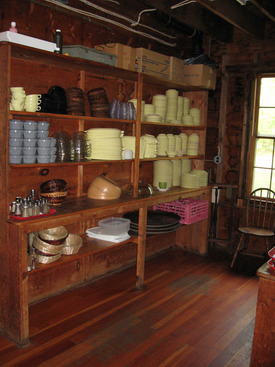 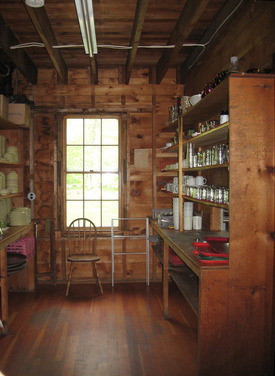 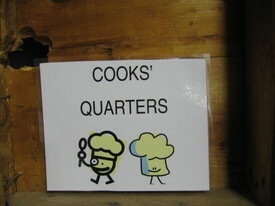 The Cook's Quarters are located above the front kitchen.